Most smartphone users have probably experienced the frustration of a dead battery. 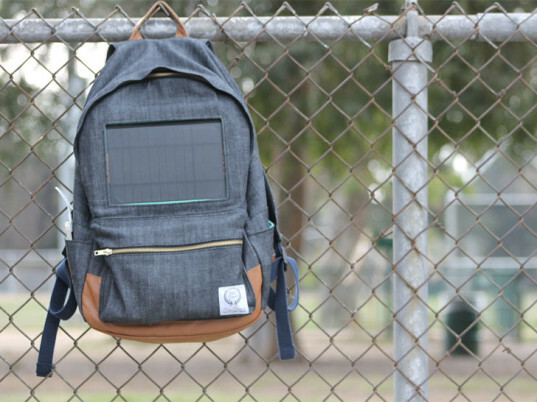 Now Project Solaire have designed a backpack that incorporates a solar panel into the fabric to keep devices charged wherever you go. This is a pretty neat way of capturing solar energy in a way that is easy, accessible and highly useful. Embedded within a simple backpack the rugged designs are ideal for festival goers or hikers to use when they are far from a power point. In fact the brains behind the concept are big festival goers and were frustrated with their devices dying in the midst of a concert. “We figured there has to be a solution,” says the brand’s Deme MaRie. The bags are designed for everyday use, made from canvas and leather and include a series of useful pockets and sleeves. Despite the fact that they do not craft the bags using sustainable materials, their objective is the solar concept; the true innovation comes from the inclusion of a removable, water resistant 7-watt dual solar panel. This dual solar panel offers the option to capture twice the amount of solar energy and can charge two USB compatible electronic devices. Within 10 minutes a cell phone will be charged up to 30%. “People are blown away when they see the bag,” says Deme. “When they learn that it’s free charging every where there’s sun, and you can store the energy for later, they love it.” Deme says the team want people to be more aware of the benefits of clean energy, and that solar is a promising resource. “Be empowered by solar,” says their crowd funding campaign site. Here the team are seeking resources to get their project off the ground to begin production, and then expand their collection and build a creative solar firm that works on solar solutions. Most smartphone users have probably experienced the frustration of a dead battery. 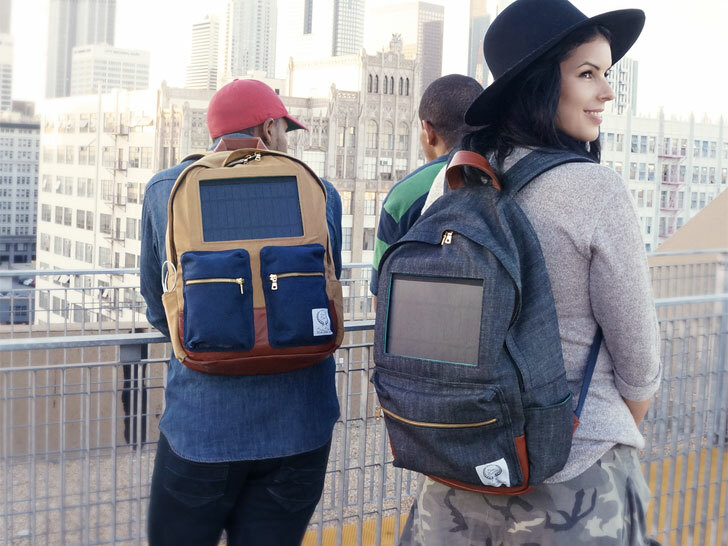 Now Project Solaire have designed a backpack that incorporates a solar panel into the fabric to keep devices charged wherever you go. This is a pretty neat way of capturing solar energy in a way that is easy, accessible and highly useful. Embedded within a simple backpack the rugged designs are ideal for festival goers or hikers to use when they are far from a power point. In fact the brains behind the concept are big festival goers and were frustrated with their devices dying in the midst of a concert. �We figured there has to be a solution,� says the brand's Deme MaRie.